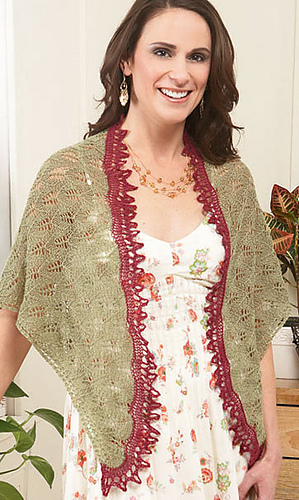 Designed for Willow Yarns Lace Club, this triangular shawl starts with a long provisional cast on for the top of the triangle. 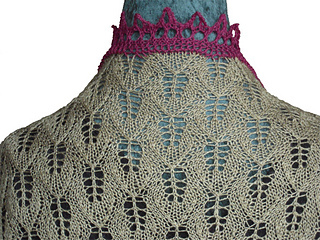 Rows get shorter as the knitting progresses, until the bottom of the triangle is reached. 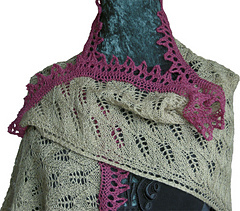 Stitches are picked up from the provisional cast on, and a frilly little lace edging is worked as an applied border across the top of the shawl.